First Aid Training Ellesmere Port – First Aid training should form a vital part of your organisations emergency procedures. The HSE states that every employer must be able to provide treatment, not just for their staff, but for visitors, contractors and anyone else using their premises. Think about what could happen if a member of your staff suddenly stopped breathing and nobody knew what to do. Even in the safest of workplaces such as offices and shops, accidents still happen. It is essential that trained staff are in place who can effectively and efficiently deal with an emergency situation. First Aid is a skill set that sits all on its own. Not only can you use these skills at work but in your home life too. The function of First Aid is simply to fill the time gap between the incident happening and getting your casualty to the emergency services! There are many benefits to First Aid. Administering CPR and other treatment can save lives! 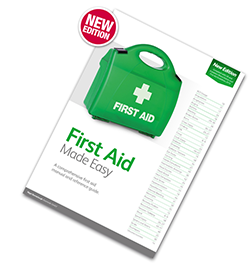 First Aid can also reduce permanent damage to a casualty by preventing the condition from deteriorating and finally First Aid can reduce time taken or lost from work which is an important factor for any business. First Aid Training Ellesmere Port to suit a variety of different levels of training and experience, from single day appointed persons or refresher courses, to more extensive and in depth courses. First aid training Ellesmere Port – For more information on our first aid courses offered by Training Solutions North West and how we can help you find the right training courses for your business please email us or alternatively, call us on 0151 515 0416 and speak with one of our training Consultants. 1 Day Emergency First Aid Training courses delivered directly in your workplace anywhere in Ellesmere Port. Courses delivered throughout 2018 and for a group cost of 6-10 delegates for only £425.00.